Baby, kids ads in Brisbane. Thank you for visiting our free advertising website Baby, kids, Brisbane section. We provide high response free classifieds and free advertisement. Use our online free Baby, kids classifieds placement system to find, list, offer Baby, kids online! An online haven offering gorgeous quality Australian designed products. 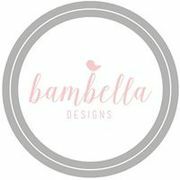 From pram liners to trolley liners, change table mats to car seat inserts, Waterproof cot and bassinet Sheets, Bambella Designs has the perfect item to spoil your Little Mister or Miss..
Are you prepping up to welcome a little bundle of joy in your life? Create a cheerful, vibrant and beautiful nursery for your little one with a wide range of cot accessories. Smooch Baby offers an exclusive collection of cot accessories that complement your nursery decor. Buy now: https://www.smoochbaby. "Shop for 2 In 1 pencil set from Vivid Promotions Australia to promote your brand name and logo. It is perfect promotional product for traveling purpose. The 2 in 1 Pencil Set makes a great gift for kids and adults. It is a cylinder shaped paper tube packaging. Some important features are: Colours: Translucent Blue and Black Product Size: 35mm w x 115mm Decoration: Pad Print: 20mm w x 35mm h Packaging: Carton Size: 385(h) x 385(w) x 245(l) mm, Carton Weight: 12 Kgs / 200 Pcs Get customized your brand name with this promotional 2 in 1 Pencil Set. 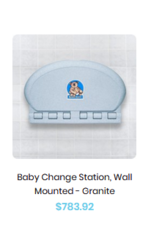 We Have The Best Selection of Changing Table In-Stock. Changing diapers is nobody’s idea of having a good time. But having one of the best baby changing tables can make this process stink just a little bit less. At Smooch Baby, we carry a wide selection of baby changing table at unbeatable prices. From the classic universal baby cot range in plain white to darker oak wood colours, to the more contemporary baby changing table sets, we have you covered. 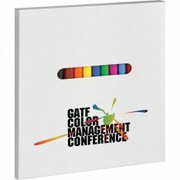 "Purchase 12 colored markers in a white paper box from Vivid Promotions Australia. Its colors include red, light blue, green, brown, purple, grey, yellow, blue, lime green, fuschia, orange and neon. yellow. 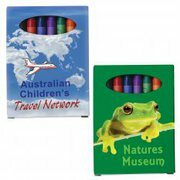 It is a perfect promotional gift for kids and any school event. Here are some important features - Item Size: 145mm(h) x 122mm(w) Materials: Paper Decoration Type/Area: Pad Print:63. "Are you looking for ideas to promote your brand at an affordable price? If yes, then contact Vivid Promotions. We are the leading supplier of printed promotional products and corporate gifts. 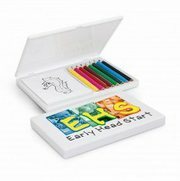 Vivid Promotions's 8 Piece Coloring Set will help you to promote your brand. It has Six coloured pencils, a sharpener and a colouring book. Give your little one the perfect sleep with our cot baby mattress. 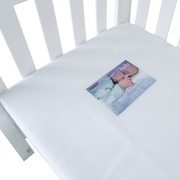 At Smooch Baby, we offer a range of quality cot mattresses to suit everyone. Each mattress will ensure that your baby gets a good night's sleep, as well as providing comfort and warmth with the highest of safety standards. Our firm mattress features breathable material, low allergenic and made with 100% cotton. Come, check out the huge array of organic and eco-friendly wooden baby toys that Smooch baby has to offer! 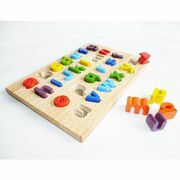 Our wooden baby toys always have and will be quick to spark smiles both young and old children. Search through our collection and you’ll find the perfect set of smiles for any budding, young family. 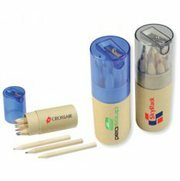 "Shop for Tourer Pencil Set In Cardboard Box from Vivid Promotions Australia to promote your brand. Whether at school, at home or travelling, your brand always enjoys extra brand exposure with this Pencil Set. It has 6 half sized coloured pencils in assorted colours in each box. It is a great giveaway for children and eco-friendly events. If you are on the lookout for a quality proven baby cot online, then Smooch Baby offers a wide range of options and that too at affordable prices. We offer an extensive selection of baby furniture, baby cots, organic bedding sheets and nursery furniture. Shop our full range of cots which all meet Australian safety standards. Baby Change Tables for Sale – Why You Need One? 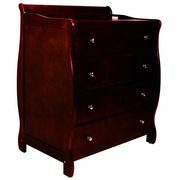 Sometimes buying a bay changing table can seem like a rather insignificant item due to the simplicity of its use. Unfortunately, many people ignore a lot of important things that should be considered about this item. So if you want to know why baby changing tables for sale are a sheer necessity for your baby, visit our link : https://washroomdispenserwarehouse. Now it's never been more accessible or more affordable — to stock up on organic baby products. Visit Smooch Baby today for all your baby products needs. We are your one-stop online store for natural products for babies and new Moms. It is our job to ensure those chemicals are away from your baby. We carry a wide range of baby products including organic bumpers, organic blankets, swaddles, bedding sheets, swaddles, muslin and more. "Buy imprinted Playtime Colouring Set from Vivid Promotions Australia with an affordable cost. 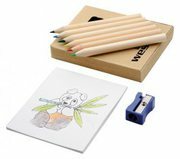 This colouring set containing eight assorted colour pencils and a pad printed with 19 different animals to colour in. Some features are - Playtime Colouring Set Colours: White. Decoration: Pad Print: 65mm x 65mm Screen Print: 110mm x 80mm Direct Digital: 90mm x 135mm For more promotional products visit: vividpromotions. "Are you looking for ideas to promote your brand at an affordable price? If yes, then contact Vivid Promotions. We are the leading supplier of printed promotional products and corporate gifts. 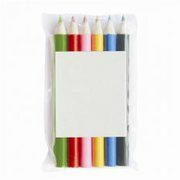 Vivid Promotions' s Coloured Pencil Set will help you to promote your brand. 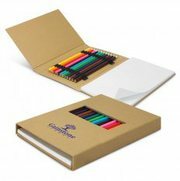 The Coloured Pencil Set is a six colored pencils in a robust cardboard box. "Purchase 12 assorted colour pencils in a convenient unbleached cardboard tube from Vivid Promotions Australia. It has translucent plastic cap which features a built in pencil sharpener. The tube is available in Clear, Red, Green, Blue and Black colours. Decoration: Pad Print: Tube - 40mm x 20mm Pad Print: Lid - 30mm x 20mm Carton Dimensions: 39 cm x 39 cm x 24 cm Carton Cube: 0. "Custom Printed Creative Sketch Set is a Fold out set of 12 full sizes coloured pencils and a medium size 50 leaf unlined pad. These promotional pencils are the best gift for any kids events. 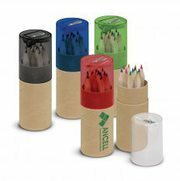 It has a sturdy unbleached cardboard cover and neat elastic loops to securely hold the pencils. Some main features are - Colours: Natural. Smooch Baby provides unique babies, toddlers and kids products from premium brands that encourage the development of imagination and stimulate curiosity about our world and beyond. We pride ourselves in our search for baby products in the category of maternity wear, nursery furniture, clothing and bath, feed, bed and play time items and much more!. Jeet Baby Equipment is a one stop shop for high quality , easy to use baby equipment and accessories. We offer a great range of some of the best baby equipment and products at affordable prices.Jeet Equipment was born out of my interest in helping parents source quality, safe and convenient baby equipment that will make daily movements and life of a family much easier. 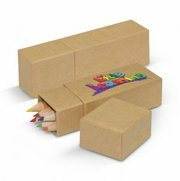 Vivid Promotions offers Assorted Colour Crayons In Custom Design Cardboard Box at fantastic prices. These crayons are non- toxic and perfectly safe for children. There are 8 assorted colour crayons in each box. You will get promo rewards quick with a 4CP laminate print of your logo or name on the cardboard box. "Australia's Largest Brand Marketplace. Choose Your Favorite Product and Order Now from Vivid Promotions Australia! 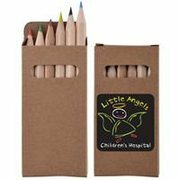 This personalised coloured pencil set is one of the best and cost-effective promotional gift items for advertising your business brand. Details- Colours: Various Coloured Pencils in PVC Pouch 6 pack With Print Decoration: Print: Pad Print: 40 x 45mm To purchase this custom printed colour pencils, visit vividpromotions. In today’s busy world convenience is the main requirement for everyone. With this in mind, we at washroomdispenserwarehouse.com.au have come up with the perfect thing for the young parents. 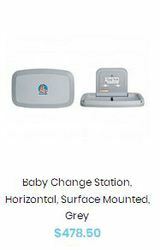 Say sayonara to the messy job of changing diapers with our exclusive range of baby change tables. 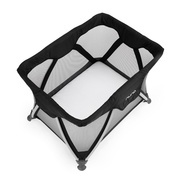 This unique thing will work as the most functional place for you to change the diapers more effortlessly than ever. Elektra Bub & Tots Pty. Ltd. - An Australian children’s store, creating our own brand unique and quality pram bag/organisers & nap mats for making every mum’s life easier. Retailing baby and kids items online not normally sold in stores. Quality products and customer service, along with free delivery and money back guarantee. We are a distributor of QUALITY night lights for children (both big and small) and also home decor and outdoor lighting as well.We are a distributor of QUALITY night lights for children (both big and small) and also home decor and outdoor lighting as well..
A wide range of educational toys, puzzles and wooden toys for kids. Brisbane Morningside QLD 4170 Australia. Online retail TOY store where you will find unique, quality toys and gifts for that special one. All of our toy products have been sourced from trusted brands around the world to bring you the biggest and best range of educational toys. Outstanding customer service and a secure shopping experience, quality. Oh Mama - Your one stop online shop for mamas and their kids. Baby monitors & nursing Covers, Wall stickers & decals to brighten up your nursery. 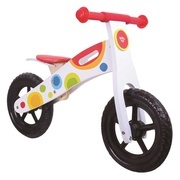 We even stock kids scooters! All delivered directly to your door at great prices. http://www.ohmama.com.au/ 6 Christobel Cl Buderim QLD 4556 Australia 0404. 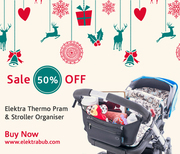 ​50% Off on Elektra Thermo Pram Organisers and optional Gift Wrapping sent straight to recipient!A necessity for Christmas shopping with kids or a perfect present for any parent.​. Elektra Bub – online baby store to find pram and stroller organiser, mum organiser, nappy bags, accessories, baby bottle holder and pram caddy. We provide quality products to make your life easier at a great price..
What is a Kids Zip Sheet? It’s a sleeping innovation to prevent children from kicking off or tangling in their sheets. It’s a flat sheet attached to the fitted sheet with zips either side to allow for easy entrance and exit whilst still allowing ventilation for the feet at the end of the bed. Visit www. Apikali sells and hires a range of modern cloth nappies across price, style and brand. From newborn to toddler, start saving money NOW. Hire from our Nappy Library before you buy. Apikali Modern Cloth Nappies www.apikali.com.au is a unique online store where you can try and buy a range of cloth nappies across price, style and brand to find the cloth nappy which suits you and your baby. Australia free ads for Baby, kids, Brisbane, Baby, kids free ads Brisbane, Baby, kids for sale Brisbane, Baby, kids to buy in Brisbane. Find on this page free classifieds for Baby, kids in Brisbane. This listing includes classifieds for sale and to buy in Brisbane. FREEADSAustralia Brisbane offers you a platform to post free advertisements or classifieds for Baby, kids in Brisbane. FREEADSAustralia helps you search, find buy, sell, rent or hire in various categories like apartments, goods for sale, local services, cars , jobs and many more in Brisbane. If you posted an advertisement in category Baby, kids of FREEADSAustralia Brisbane before please use Edit my ads button to change or cancel your ad. Baby, kids Brisbane ads Brisbane, Baby, kids classifieds Brisbane, Baby, kids free ads Brisbane, ads for sale Brisbane, ads to buy Brisbane, FREEADSAustralia. Find here ads for sale, to buy and rent in Brisbane. Goods for sale in Brisbane, vehicles for sale in Brisbane, Brisbane real estate for sale, Brisbane property for sale, property for rent in Brisbane, business ads in Brisbane, Brisbane business classifieds, services in Brisbane, Brisbane services ads, jobs in Brisbane, pets for sale in Brisbane, Brisbane dating, Brisbane cars for sale.